The quality department of education at Jalal-Abad State University began to function with separation from the educational unit on the basis of the Law “On Education” of the Kyrgyz Republic, the Regulations on Higher Educational Institutions, the Charter of the JASU in accordance with Resolution No. 788 of the Government of the Kyrgyz Republic dated November 20, 2015 Jalal-Abad State University of December 10, 2015 as a structural unit, leading the implementation of the policy of improving the quality of education in an educational institution. The main objective of the department of quality education is the organization, implementation and development of the system of management of the quality of education at the university and the development of a policy of improving the quality of university-wide education. development of the mechanism of internal evaluation of the university’s quality education system. 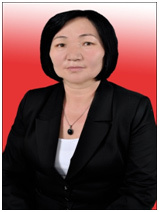 Currently, the department of quality education is headed by Tokoeva Guldana Samidinovna, Ph.D. In addition, methodologist Aitikeev Nurlanbek Zholdoshbekovich, inspector Karabaeva Uulkan Tashtemirovna work in the department.